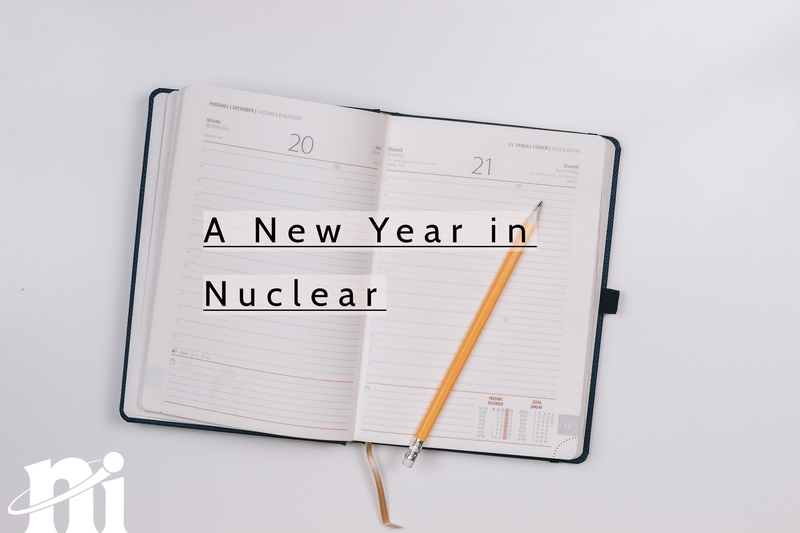 Welcome to the Nuclear Institute's first blog of 2018. I hope you have had a productive start to the year - here at head office we’ve barely drawn breath since the Christmas break! We were delighted to return to the news that one of our members, Adrian Bull, was appointed to be a Member of the Order of the British Empire (MBE) in the 2018 New Year's Honours List. The award recognises Adrian's work on the development of public understanding in nuclear research. Adrian has previously volunteered with our North West branch, and is a prime example of the nuclear professionalism that being a member of the NI is all about. Our new President for 2018, John Clarke, has begun in post and we look forward to working with him this year as he brings a wealth of industry experience and enthusiasm for the NI as a long-standing Fellow. Our events programme is off to a busy start, offering members a wide range of development and networking opportunities right across the UK. Keep an eye on our events webpage for details of both our technical conferences and branch dinners and lectures. If you find it difficult to attend events in person, our monthly webinar programme offers members the opportunity to complete their CPD in the comfort of their home or office by tracking their attendance at the webinar and reflecting on their learning afterwards. The first webinar of the year - SMRs with Corporate Risk Associates - was hugely popular with members, with 130 people registering to listen in. Next up we will hear from LLWR and Sellafield regarding Waste Management (register now), in advance of our Integrated Waste Management conference in April which is now open for booking. Our communities are also off to a flying start, with two of our Special Interest Groups (SIGs), Digital and Security, already having held their first meetings of the year. Find out how you can contribute to an NI SIG here. Our new YGN chair, Michael Bray, reports that he is settling into the role and excited for YGN’s busy 2018 schedule and to carry out their strategy. You can read about the new YGN structure here, and keep an eye on our events page to hear about the upcoming regional YGN Speaking Competitions. Our WiN UK network last week held their Annual Conference "Power together to create change", which was a great success, with delegates reporting that they left feeling motivated to make positive change in their workplaces regarding diversity and inclusion - themes that WiN UK and the NI intend to build on throughout 2018. Our regional branches are busy preparing for their annual dinners, with North West and Western available for booking. In March we are excited to share with you the new-look Nuclear Future magazine. Should you be interested in contributing an article or advertising, please see our web page for information. Our first issue will have a wider circulation and you might be asked to help us promote both the magazine and NI membership to your colleagues who are not currently members. At HQ Sally has been busy processing 2018 membership renewals. If you have not yet renewed your membership, please make this a priority. We don’t want you to lose your membership benefits and we would rather not have to spend lots of time and money on chasing unpaid members that we could be spending on benefits for you. You can renew online or by contacting Sally who will be delighted to hear from you. Don’t forget to update your details at the same time so we can make sure you get the most out of your membership. We look forward to seeing what 2018 holds for both the nuclear industry and our members, and as your Professional Institution we endeavour to support you at every step and wish you all the best for a productive year. Should you wish to contact us, please see the new HQ team page on our website to find out how each member of our team can best assist you.